Since the heat required for defrosting is supplied by air, water or steam in processing rooms or equipment having large contact surfaces with the environment, the process speed is often influenced by the external ambient conditions, which are difficult to control. The drawbacks of conventional defrosting methods can be avoided thanks to the ability of Radio Frequency (RF) electromagnetic fields to rapidly generate heat volumetrically within the product. The heating process is fast, uniform and controlled, resulting in a significant reduction of drip losses and minimising product deterioration caused by bacterial growth. 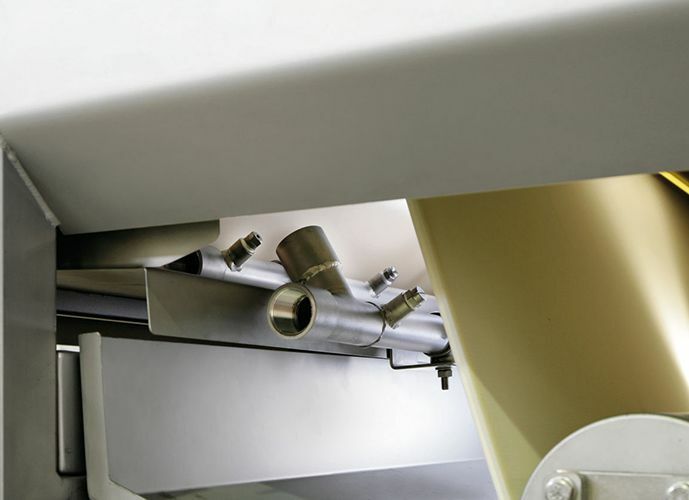 The RF heating method offers flexibility in the production scheduling and is the ideal solution for many tempering, softening and defrosting processes. 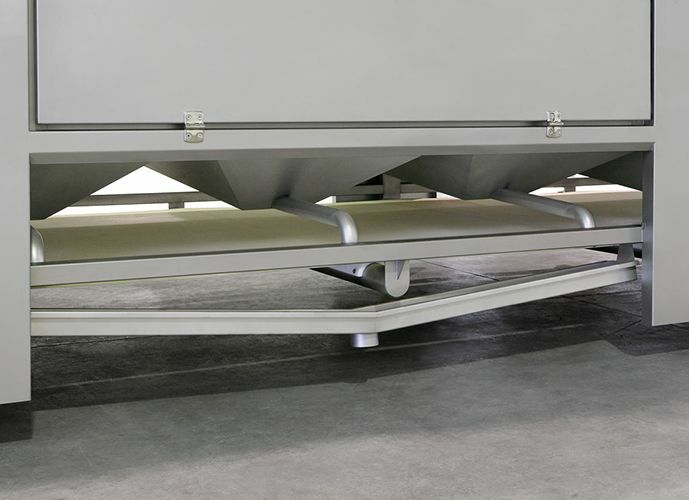 The product is placed on the machine’s conveyor belt and is transferred continuously through the RF unit (tunnel) passing between upper and lower metallic plates. These plates (also called electrodes) form an electrical capacitor and the product in between the plates becomes the dielectric element of that capacitor. The electrode plates are connected to a radio frequency generator oscillating at a frequency of several million cycles per second. When the RF generator applies high frequency alternating voltage between the capacitor plates, the dipolar water molecules of the frozen product will vibrate and rotate attempting to align themselves according to the fast changing opposite plates polarities. This phenomenon causes intermolecular friction, which will in turn generate heat rapidly and uniformly within the whole product mass regardless of its size, weight, shape and thermal conductivity. The amount of heat generated inside the product and the defrosting time are accurately controlled through the voltage applied on the electrode plates and the speed of the conveyor belt. Thanks to the high process speed, radio frequency defrosting can be carried out continuously, with significant logistics advantages in product handling and production scheduling. The production can be organised according to "just-in-time" criteria - a great advantage in the case of sudden orders, last-minute changes in the order or under processing, etc.